Forest Green Rovers have re-signed striker Stuart Fleetwood from Eastleigh on loan until the end of the season. Fleetwood, 28, scored 36 goals for Rovers in his one season at the New Lawn, prompting a move to Championship side Charlton in June 2008. 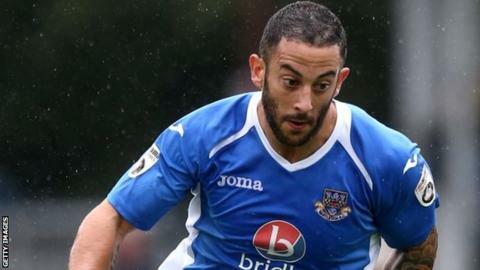 The forward, who won Wales under-21 honours during his career, has been at Eastleigh since the summer of 2013 and has four goals in 27 games this term. He is available for Sunday's Conference Premier game against Welling United.